We are gearing up for a busy season, all that is missing is you. The Palms of Destin offers you a vacation getaway in our resort where you will find everything you need at your fingertips. Many of our guests opt to extend their vacation into monthly rentals making that time away last as long as possible. For that reason we have special long term rates in our fully equipped luxury condos. Check out our rooms, amenities and more! Whether you need a one bedroom, two or three tastefully contemporary furnished unit. On site we have luxurious lagoon swimming pool with 5 dancing waterfalls. Enjoy relaxing in the whirlpool spa and soothing your tired muscles. There’s easy access to our full service bar where you can enjoy the open atmosphere of our tropical paradise. Here you will find Happy Hour All Day Every Day! Sago Sports Bar and Grill offers a wide variety of tasty appetizers, juicy burgers, steaks and seafood. All of this is right here in The Palms. Simply walk on down for an enjoyable and relaxing dining experience or just a quick snack! Right next door to the Sago restaurant is” the biggest little store in Destin”, The Bean Trader General Store, where you will find convenient items to make your stay a little more pleasant. Here we can book a deep sea fishing trip, sell you a prepacked cooler for the beach and numerous other products and services you will want to check out for yourself. The Palms of Destin, one of the premier resorts on the Gulf coast specializes in affordable beachfront luxury for you and your family. In fact we would like to extend and invitation to and your family to take a break from your daily stresses and come stay with us right on the beach in Destin, Florida. Our resort is thoughtfully crafted amidst our area’s famous sugar white sand and emerald green, crystal clear surf. Gazing out at our stunning beaches from the comfort of your rooms will immediately begin to help you breathe easier. There’s nothing like watching one of our magical sunsets with the ones you love from the tranquility of your own private balcony overlooking the Gulf. It’s like watching the sky get painted with various hues of reds, pinks, purples, blues and oranges. It’s a sight that will stay with you forever! 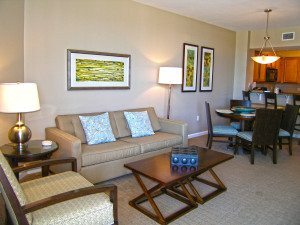 Each of our suites are designed to be your sanctuary or home away from home while visiting our beaches. Fine furnishings, outstanding views, cozy beds dressed in fresh linens, and large, modern bathrooms will ease your mind and your body. Drift off to dreamland on one of our incredible pillowtop mattresses while being serenaded by a chorus of crickets and frogs mingled with the sound of the surf. It’s hard not to wake up feeling recharged after a night like that. 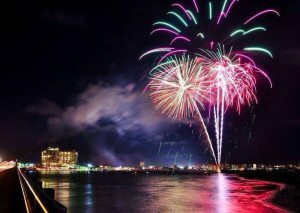 Not only is our resort conveniently located in the heart of Destin, just steps from the beach or all the great dining, shopping and entertainment the city offers, but our amenities and service are so outstanding that you may never want to leave. Your family will love lounging around our beautiful, heated pools, surrounded by lush tropical foliage and fragrant blooms, all overlooking 600 ft of private beaches. Our beach services are sure to delight everyone as we arrange time for your family to enjoy our jet skis, paddle boards and parasailing. Our concierge services are available to make things easy as possible for you. Anything from waverunners, tee times, reservations, fishing trips and more can be arranged for you. We will handle it all with your comfort and convenience in mind. 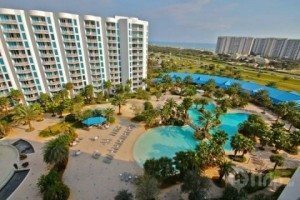 There is no better place to be than the beautiful beaches of Destin, Florida and there is no better resort than The Palms of Destin to provide you and your family with unparalleled comfort and convenience when away from home. All of the world’s great artists had their secret to producing unique and beautiful work. Many of the world’s great artists at one time or other likely suffered from some kind of creative block. That is when writing sabbaticals, artistic retreats and just plain mental health days come into play. 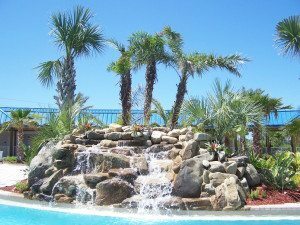 Whether you are in need of some beautiful scenery to help you work past a writer’s block, an artistic pause, or a simple lack of creative focus in whatever your line of work – a few days in scenic Destin amidst the palm trees can work wonders! We can’t promise that a few days soaking up the Florida sunshine will get your creative juices flowing, awaken your muses and call forth your great opus. But, it certainly won’t hurt the effort! Regardless of if you need inspiration for your next advertising campaign, architectural design, or pastry recipe – we can assure you that our area attracts the creative classes each year for some pretty obvious reasons. Beautiful scenery. Laid back lifestyles. Friendly faces and fabulous food. 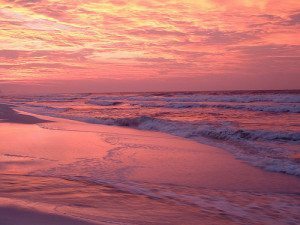 Spend a few days listening to the hypnotic rhythm of the crashing waves in the Gulf of Mexico or the joyous sounds of the sea birds and dolphins. Become captivated by kaleidoscope of colors in the sky at sunset or the starry, starry sky that follows. Those muses just might be calling! Take a couple mental health days to regain your focus, find your center and maybe make that masterpiece! At the very least, we are sure you can find the relaxation and quiet serenity you are seeking this year right here on the Emerald Coast. 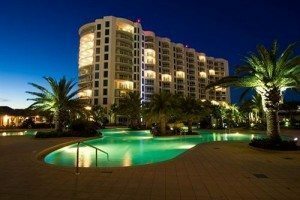 The Palms of Destin, a premier beach resort on the Emerald Coast, can help provide you and your guests with unmatched comfort and convenience complete with first class amenities as well as highly personalized service. Our suites are designed to be unmatched in luxury, affording your guests with a cozy beach hideaway complete with fine furnishings, sumptuous beds dressed in fresh linens, and oversized, modern bathrooms combined with a marvelous view of our charming coastal landscape from the private balcony where you can watch one of our stellar sunsets! Also awaiting your guests leisure are our lighted tennis/basketball courts and state of the art fitness center, where they can work up an appetite for our unbelievable gourmet creations at The Brick and Spoon, conveniently located within the resort, or they can take the resort’s beach shuttle service to any number of local eateries nearby that specialize in serving fresh, locally caught Gulf seafood. Call today to get started, learn more about having your wedding on the shore and in our grand ballroom and lush lawns or book your stay at the Palms of Destin.